Up To 15% More Air And Draw Fewer Amps Than The Competition! 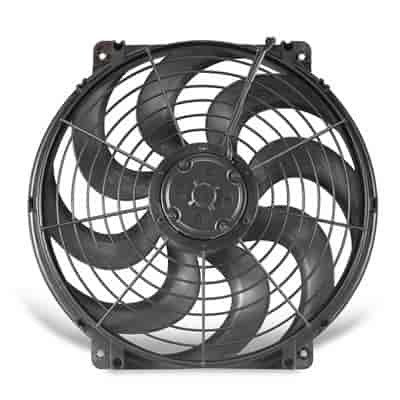 These computer engineered fans are some of the most efficient S-blade fans available, with 16'' models pulling up to 3000 CFM and drawing only 19.5 amps. That can help you save up to 17-horsepower while recovering up to 20lb. ft. of torque over belt-driven mechanical fans! The sweep-style blades are engineered for quiet, efficient air flow that pushes air as well as it pulls. The reinforced nylon shroud houses the powerful, reversible motor and can be mounted before or after the radiator with the included nylon mounting brackets. Does Flex-A-Lite 394 fit your vehicle?